You did a great job capturing the spirit of the competition in your photos. Thank you. Just wanted to drop a line and let you know how much we enjoyed having you for our tournament on Saturday. I am looking forward to seeing our pictures online. I'll work on getting info for you on the state meet in Macon. Again, thanks and we look forward to working with you again. Harry, Thanks again for the great photo's this past weekend. Everyone that I talked to was very pleased with the picture quality. You and your assistants were very professional and friendly to everyone. That is very encouraging for me as I am so busy at the meets that I have little time to check on things going on around me. Please feel free to give my name as a reference to anyone that inquires, and feel free to use Marlee's pictures as proof. I really like the enhanced picture for the poster. It was good to see you again at the state tournament...your photos were great as always. Are you going to Rockdale Gymnastics in Conyers this weekend? My Granddaughter had her best event in Moultrie and they had someone photographing as a hobby. We are calling every gym that we go to and requesting that they contract you for pictures. I am going to forward the pictures that I received from this past weekend. Good customer service is hard to find these days. You have gone up and beyond to please me as a customer. I want to thank you. Pictures and memories are priceless. Thank you again for your time and cooperation. The poster arrived on Monday, and it looks great! We are very happy with the results! Thank you for taking time to do this. The photo collage you did of our daughter was absolutely amazing. When the package arrived and I looked at the picture, my breath was taken away. Thank you so much for capturing our daughter's spirit and arranging the collage to reflect both her beauty and the beauty of gymnastics. It is priceless. Hi Mr. Shelley this is Katie (the gymnast) I LOVE the poster with all of my gym pics from the "Ultimate Classic". I would be honored if you displayed it at some other meets, I thought it was that good. This is a great momento, and will be on prominent display...i.e. 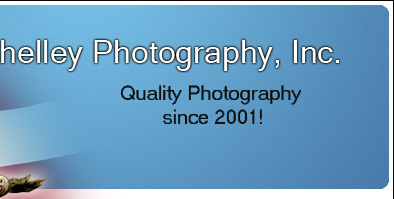 Shelley Photography will be getting much attention (and word of mouth props) for many years to come!! We listen to our customers. We strive to improve the shot. We continually try to improve our service and our quality.